TVersity Media Server Pro version 1.8 now supports playing any flash video site on your TV. 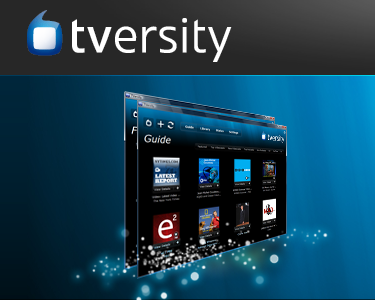 TVersity is the versatile media server that lets us stream videos, music, pictures, etc from our computer to our TV wirelessly as long as you have a WiFi and streaming enabled device such as Sony Playstation 3, XBox 360, Nintendo Wii, etc. My PlayStation 3 has doubled in it’s utility and in value (in my mind) just because of this free software! 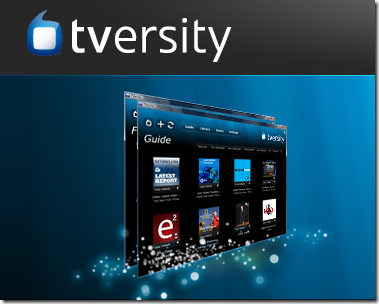 TVersity Free version has supported streaming YouTube videos to your TV. TVersity Pro version has supported streaming premium content from sites such as Hulu (US only), BBC iPlayer (UK only), Sling, etc. TVersity Free 1.8 also adds support to include YouTube favorites, playlists, YouTube content by search query. The most important feature with the PRO release is the support for playing any flash video site on your TV via TVersity. Basically you add the sites you want added to premium content in an xml file (osb.xml). Also, TVersity can now push new premium content to you without a new release of the software. This means you have to add your own content again to the osb.xml file or send the new site to TVersity so they will add it. Check out this thread to see how you can add new content via osb.xml file. Also, TVersity 1.8 has added Google Chromium based off-screen web browser for increased stability with premium content. TVersity Pro costs $39.99 with 1 year of free updates and at 50% off for future updates.